The beginning of Eternity, And the End of timE and spacE. nEvEr the End of crEativity. 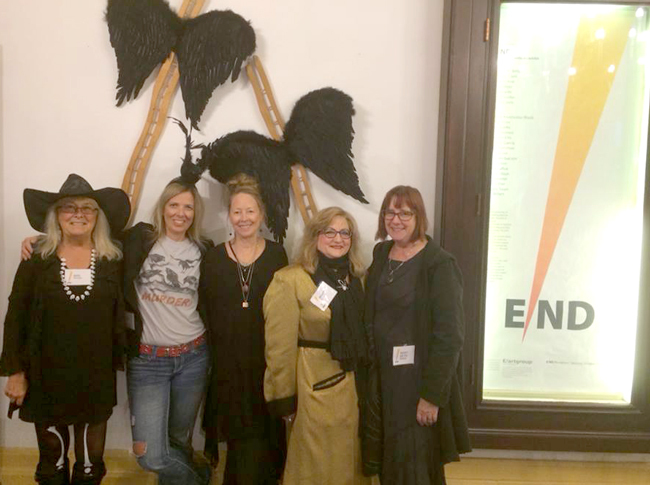 “Fearless” is a national, juried art exhibit curated by the e/artgroup and hosted by the Old Court House Arts Center on the Historic Town Square in Woodstock, Illinois. “Fearless” is exhibiting concurrently with the Clayworker’s Guild of Illinois. Adj. 1. fearless - oblivious of dangers or perils or calmly resolute in facing them unafraid. Brave, courageous - possessing or displaying courage; able to face and deal with danger or fear without flinching. 2. fearless - invulnerable to fear or intimidation; audacious, dauntless, intrepid, without fear, brave, hardy. Bold - fearless and daring. What is it like to live in a world of constant uncertainty and fear-mongering? How do you cope...? What makes someone fearless? What do you fear: loss of human rights, disease, climate change, assault, aging, homelessness, death...? Is fearless quiet? Or loud? or both....? What would we be without fear? Is fear a necessary evil of survival...? At what point does fear go too far...? How do you find your own strength and power? How do you empower others...? E/artists left to right: Nan Seidler, Vicki Senn, bert leveille, Mary Hilger and Mary Beth Bellon. 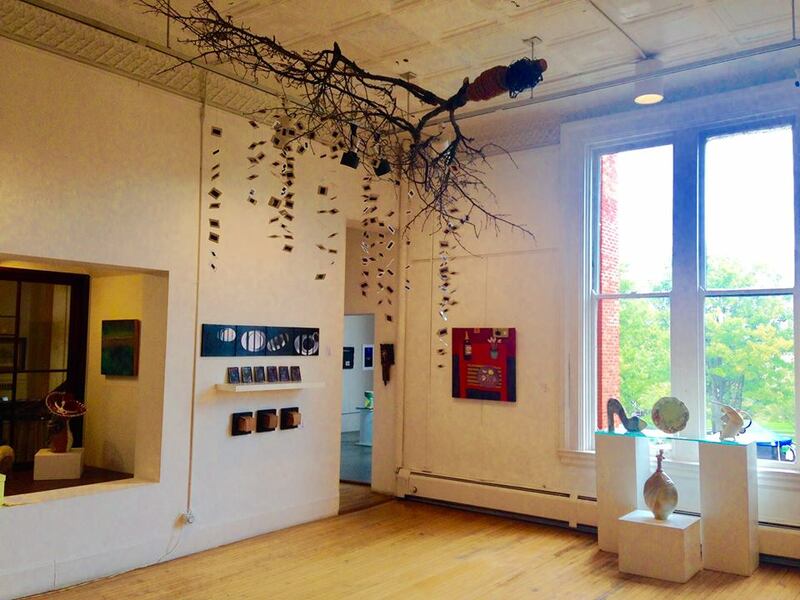 an installation view of the main gallery at Old Courthouse Arts Center on the historic Woodstock Square in Illinois. 1. Either extremity of something that has length. The end of the pier. 2. The outside or extreme edge or physical limit; a boundary. The end	of town. 3. The point in time when an action, event, or phenomenon ceases or is completed; the conclusion. The endof the day. 1. To bring to a conclusion. Let’s end this discussion. 2. To form the last or concluding part of. The song that ended the performance. 3. To destroy. Ended our hopes. 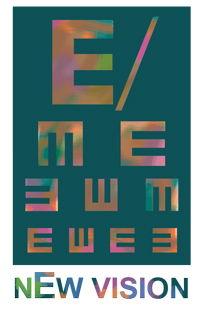 a themed all media art exhibit, ‘ellipse,' in conjunction with the Old Courthouse Arts Center and The Clayworker’s Guild. 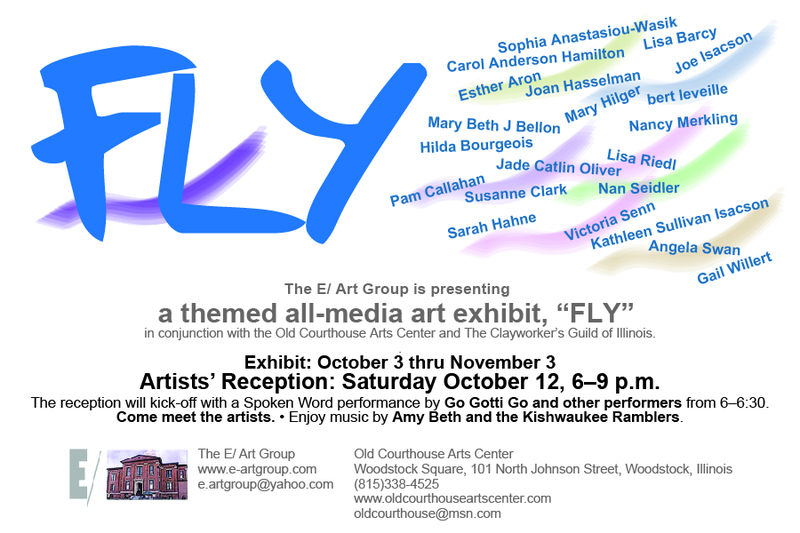 a themed all media art exhibit, ‘FLY,' in conjunction with the Old Courthouse Arts Center and The Clayworker’s Guild. FLY exhibit reception photos and original performance by GO GOTTI GO. E/Go art exhibit held at the Dole Mansion's Sage Gallery in Crystal Lake. 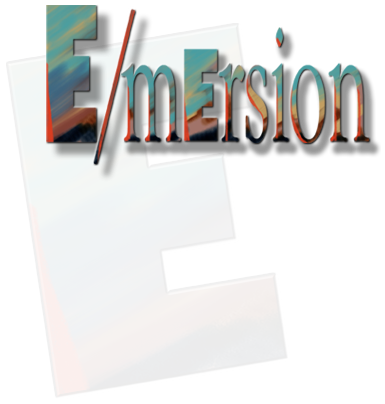 E/mersion an overview of the exhibit held at the Dole Mansion's Sage Gallery in Crystal Lake. 1-nite stand was held at a historic industrial building in Downtown Harvard, Starline gallery.